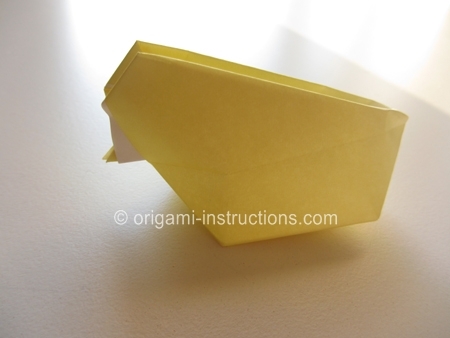 Here's a cute origami inflatable chick that is perfect for Easter. It's fairly easy to fold and uses the same starting points as the origami water balloon and inflatable rabbit. 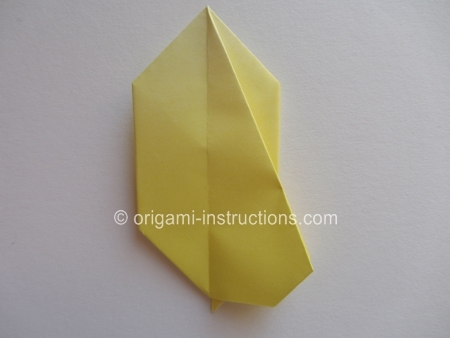 Origami Inflatable Chick Step 1: Follow instructions for the origami inflatable rabbit from Steps 1 to 6. You should then have the following to start with. 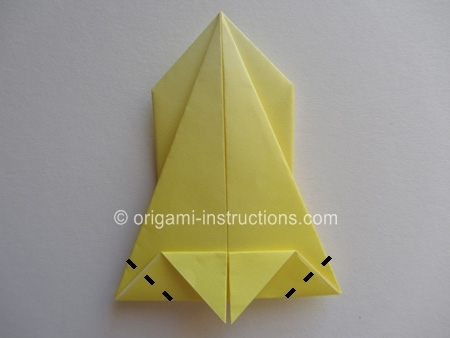 Origami Inflatable Chick Step 2: Fold the bottom tips upwards. 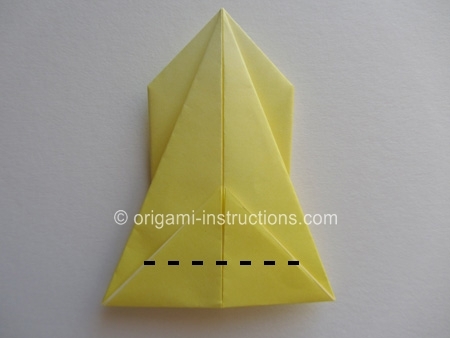 Origami Inflatable Chick Step 3: Now fold the tips back down so that a small portion "peeks" through the bottom horizontal edge. This eventually becomes the "beak" of the chick. 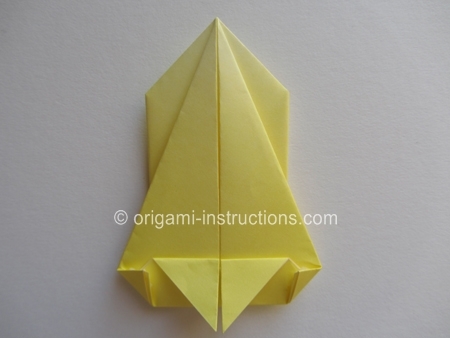 Origami Inflatable Chick Step 4: Make 2 diagonal folds on the bottom left and right corners. 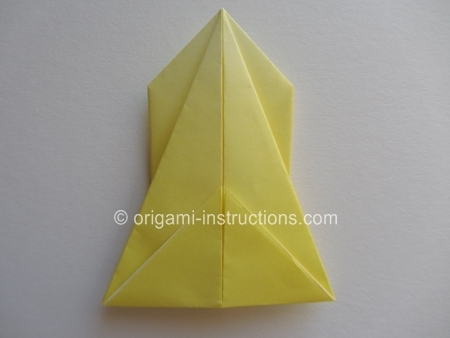 Origami Inflatable Chick Step 5: Now fold in half, bringing the left side over to the right. 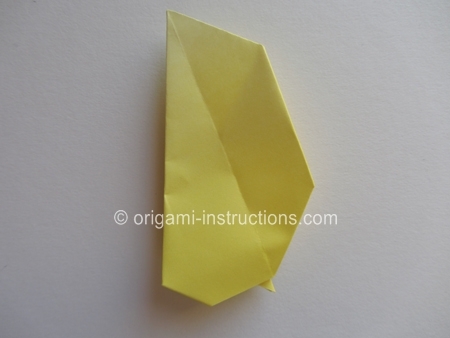 Origami Inflatable Chick Step 6: Flip paper over. We'll do the same for this side, bringing the left side over to the right. Origami Inflatable Chick Step 7: Almost done already! 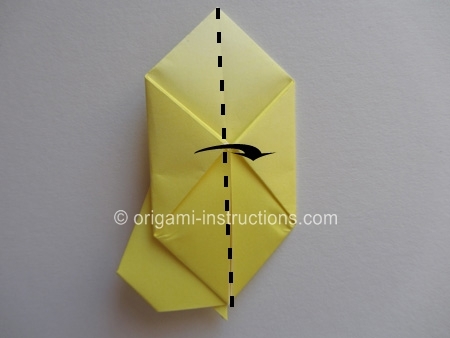 Flip paper over and rotate. We are now ready to inflate the chick! 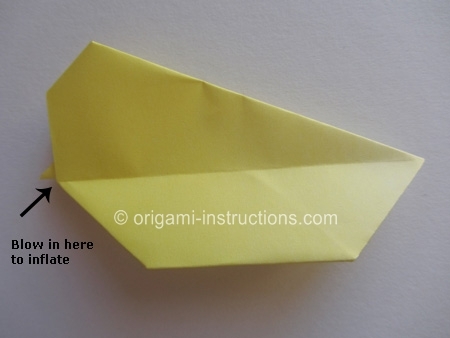 Blow where indicated below to inflate. 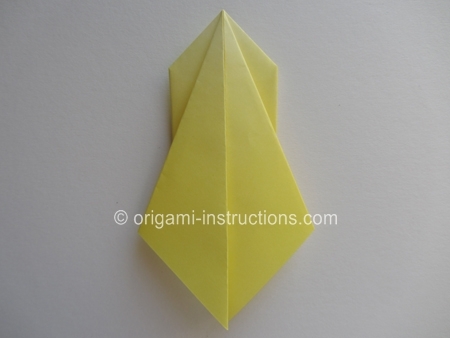 and your origami inflatable chick is complete!